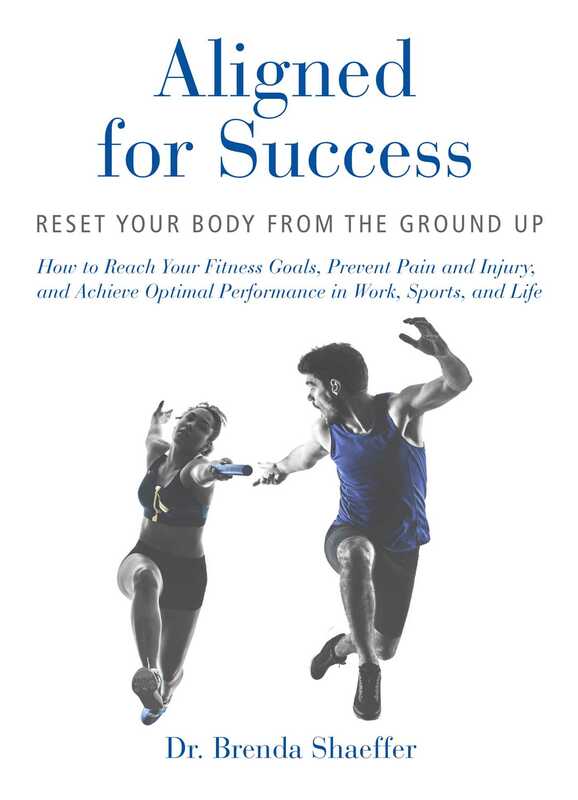 How to reach your fitness goals, prevent pain and injury, and achieve optimal performance in work, sports, and life. Pain is a byproduct of our busy, active lives, but it doesn’t have to be a constant and hindering presence. Whether your daily activity consists of caring for children, or training for marathons, Dr. Brenda Shaeffer’s program will help you find the balance you need to rethink, recognize, and reset your body. Her three-step method is easy to follow, with simple moves and exercises that will help you reach your optimal performance. In Aligned for Success, you will learn about some common myths in physical fitness training, and how changes in our nutrition and sports programs in the past few decades have at times created a higher risk of injury and long-term health issues. Dr. Shaeffer helps you navigate the confusing and conflicting chatter about health and fitness. There’s no need to discontinue the sports you love. No matter your age or stage in life, Dr. Shaeffer’s program will help you reduce the risk of injury, and be in control of your body’s movement. Worksheet: Is It Muscle Memory? Brenda Shaeffer, PT, DPT, has been a licensed physical therapist since 1978. She has a doctorate in physical therapy from Simmons College, a bachelor of science from Cleveland State University, and attended the Ohio State University and Mary Washington College. She has been a private practitioner since 1981, and has been an innovator in the field of physical therapy in business and treatment approaches in orthopedics and sports, treating athletes at every level. She is experienced in post-surgical rehab and neurologic disease care, including ALS. Dr. Shaeffer has a long history of developing and implementing ergonomic solutions and work performance enhancement programs, work hardening and treatment with companies including Honda of America, General Motors, Nationwide Insurance, International Harvester, UPS, and Roadway among others. Dr. Brenda Shaeffer’s background as an elite athlete in gymnastics and acrosports and as a national sailboat racer and coach in both sports, gives her an understanding of issues associated with recovering from injury and performing at the highest levels. "I strive to help every patient help themselves to understand and reach their potential at any age and any stage of life."